About 175 million children of pre-primary age are not enrolled globally, UNICEF has stated in a new report released on Tuesday. The report said countries with high numbers of children not in pre-primary education are missing a critical investment opportunity and at risk of suffering deep inequalities from the start. In low-income countries, only 1 in 5 young children are enrolled in pre-primary education. Ghana is a leader in pre-primary education in sub-Saharan Africa. In 2008, Ghana included two years of pre-primary education (Kindergarten) as part of its constitutional commitment to Free and Compulsory Universal Basic Education (FCUBE). Yet, more than 400,000 children – approximately 1 in 4 pre-primary age children – are still not enrolled in kindergarten. According to the Ghana Multiple Indicator Cluster Survey 2017/18, the majority of these children belong to the poorest families and are most likely to be living in the northern regions of Ghana. “All children should be given this opportunity, so they can learn, grow and develop to their full potential,” the survey stated. A World Ready to Learn: Prioritizing quality early childhood education – UNICEF's first ever global report on pre-primary education – reveals that children enrolled in at least one year of pre-primary education are more likely to develop the critical skills they need to succeed in school, less likely to repeat grades or drop out of school, and therefore more able to contribute to peaceful and prosperous societies and economies when they reach adulthood. Globally, the report notes that household wealth, mothers' education level and geographical location are among the key determinants for pre-primary attendance. The cycle of educational achievement: Across countries with available data, children born to mothers who have completed secondary education and above are nearly five times more likely to attend an early childhood education programme than children whose mothers have completed only primary education or have no formal education. In 2017, an average of 6.6 per cent of domestic education budgets globally are dedicated to pre-primary education, with nearly 40 per cent of countries with data allocating less than 2 per cent of their education budgets to this sub-sector. In Ghana, less than 6 per cent is allocated to pre-primary education. This places Ghana at par with the global average and is higher than the regional average of 2.5 per cent among the countries in Western and Central Africa. This limited worldwide investment in pre-primary education negatively impacts quality of services, including a significant lack of trained pre-primary teachers. Together, low and lower-middle-income countries are home to more than 60 per cent of the world's pre-primary-age children, but scarcely 32 per cent of all pre-primary teachers. In fact, only 422,000 pre-primary teachers currently teach in low-income countries. With expanding populations, assuming an ideal pupil-teacher ratio of 20 to 1, the world will need 9.3 million new pre-primary teachers to meet the universal target for pre-primary education by 2030. In Ghana, the pupil-teacher ratio in pre-primary is 39 to 1, and 75 per cent of teachers are trained. These numbers have progressively improved due to targeted investments. The global report highlights the success of the Untrained Teacher Diploma in Basic Education (UTDBE), an innovative programme launched by the Ministry of Education in 2012. Nearly 8,000 young teachers from disadvantaged districts were trained through distance learning, over a four-year period, to close the trained teacher resource gap in basic schools. 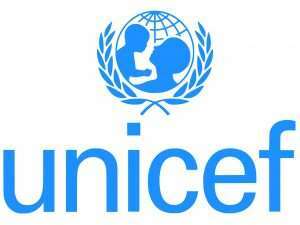 UNICEF congratulated the Government of Ghana for its leadership and progress in pre-primary education. Building on these successes, it is important to prioritize and adequately resource quality pre-primary education. Globally, Governments are encouraged to commit at least 10 percent of their national education budgets to scale up early childhood education to reach all children and ensure they are “ready to learn”.